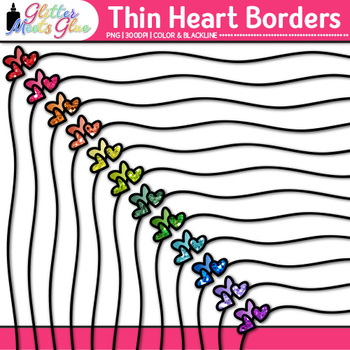 Thin Heart Border Clip Art: Create classroom resources for Valentine's Day that twinkle with this sparkly pack of clipart. Dress up your lessons with flair by overlapping one of these heart borders on a worksheet or handout. Make your classroom posters and signs shine with a touch of glitter by adding some of these frames.